Welcome to Mercedes-Benz of Sugar Land. Visit Our Tire Center. Excellence from the Ground Up. When luxury car shoppers in the Houston area are looking for the most high-end vehicles available on the market today, they know they can count on Mercedes-Benz of Sugar Land. Serving the communities of Katy, Richmond, Rosenberg, Stafford, and beyond, we are dedicated to delivering our customers an unmatched selection of new Mercedes-Benz vehicles, including the C-Class Sedan, C-Class Coupe, C-Class Cabriolet, CLA Coupe, CLS Coupe, E-Class Sedan, E-Class Wagon, E-Class Coupe, E-Class Cabriolet, G-Class, GLS SUV, GLA SUV, GLC SUV, GLK SUV, GLE SUV, GLE Coupe, S-Class Sedan, S-Class Coupe, S-Class Cabriolet, S-Class Maybach, SL-Class Roadster, SLC Roadster, Mercedes-AMG® GT S, Mercedes-AMG® GT, smart cars, as well as the Mercedes-Benz Metris Passenger and Cargo Vans and Mercedes-Benz Sprinter Passenger and Cargo Vans. We know our customers expect a dealership experience that matches the first-rate quality of the Mercedes-Benz brand. When you make your way into our showroom you’ll have the chance to browse at your leisure, and our knowledgeable sales team will be standing by to answer any questions you have. Once you’ve taken some test drives and decided on a vehicle, our finance department will provide you with information on competitive APR financing rates. Throughout the time you own your Mercedes-Benz, our factory-trained and certified technicians will be here to help ensure optimal performance and longevity from your vehicle. Every Mercedes-Benz vehicle comes precisely engineered using authentic Mercedes-Benz OEM parts, which is why you’ll want to count on our respected service department to handle all your maintenance and repair needs quickly and professionally. 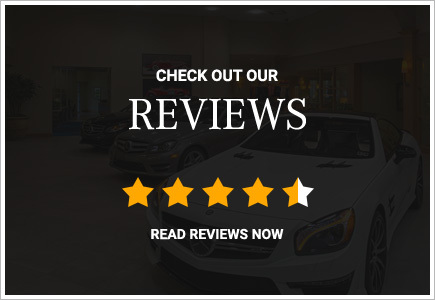 Discover why so many drivers throughout the Houston area count on the superior selection of Mercedes-Benz vehicles and the outstanding services we’re happy to provide at Mercedes-Benz of Sugar Land, located at 15625 Southwest Freeway in Sugar Land, TX.